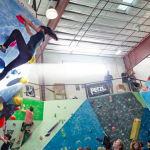 A 330-pound rock knocks a belayer unconscious. Nevertheless, she holds fast to her belay. Here, I have to rely on another’s memory. 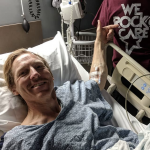 “The moment I heard the crying, coming from a hidden section of rock outcrop climbers called American Pie, images of someone being severely crushed by rock, or some climber with a broken leg or arm flashed through my mind. 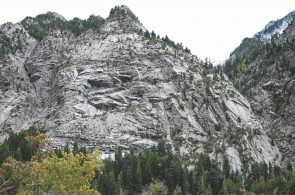 “I was among the first few to arrive at the scene below Super Crack. 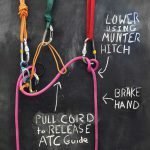 I saw a female lying face up by the wall with her body slightly arched upwards, held up by the belay device on her harness. “It was the climber, hanging in midair, whose shouts I had heard. 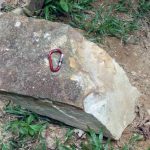 “The rock could have easily been 150kg [330 pounds] and was around two square feet. 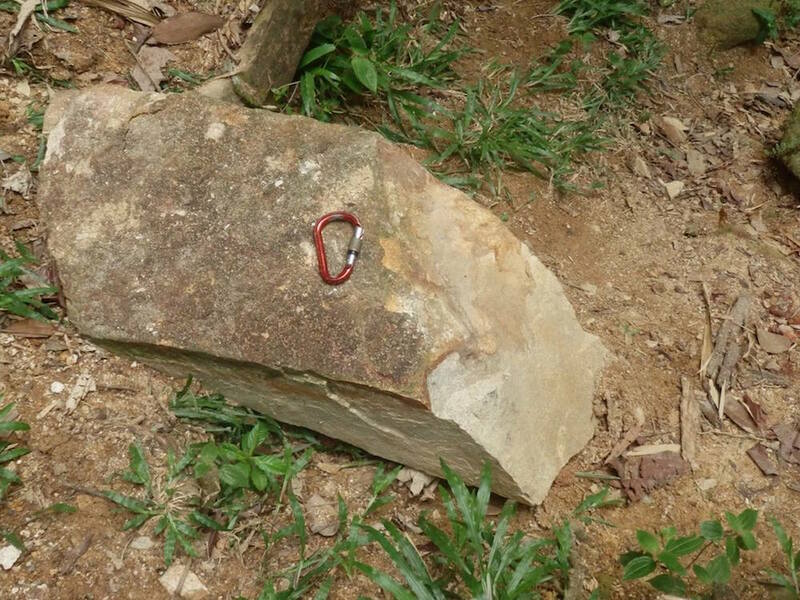 It fell from about 12m [40 feet] and hit the belayer. “She was unconscious—the left side of her helmet damaged, blood over her ears, her nose and her mouth. She suffered cuts. 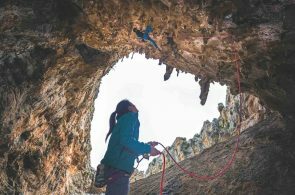 The rope went behind her and was pinched under the fallen rock, which helped prevent her partner from plunging to the ground. “Nevertheless, she held fast to her belay. She did not let go, even after passing out. “I took the rope and lowered the shattered leader, while others were tending to the belayer. She was now responsive, but in a weak voice. 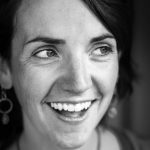 We concluded that she suffered no fractures and improvised a canvas sheet to carry her to the barricaded trailhead around 300 meters from the accident site—the closest an ambulance could get. From the accident, I suffered fractures to my skull, spine, right wrist, and middle finger. I dislocated one ring finger and fractured the other. I dislocated bones in my right ear, and even though my hearing is still affected it has improved. I also suffered a full ACL tear with flipped meniscus in the left knee. My skull fracture severed a facial nerve, leaving the right side of my face uncontrollable for week. I had to tape down my eyelid when I slept. I was in a medically induced coma for five days to allow the swelling in my brain to subside. I spent five days in the intensive care unit and another seven days in the hospital before I was discharged. 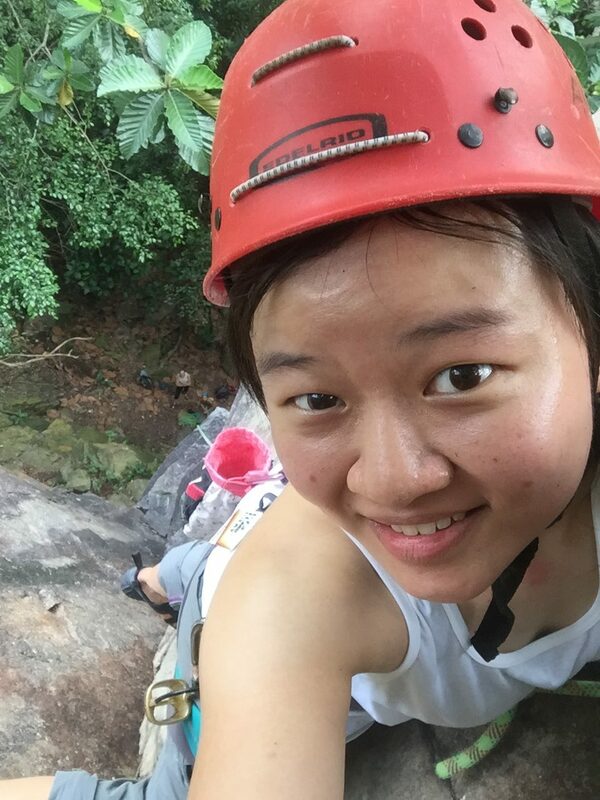 After eight months of self-physiotherapy, I started climbing again. 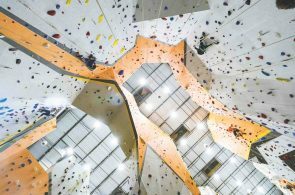 By sharing my story here, I hope to inspire all climbers to always wear a helmet and to enforce the responsibility of belaying. You will never know when it will save your life.